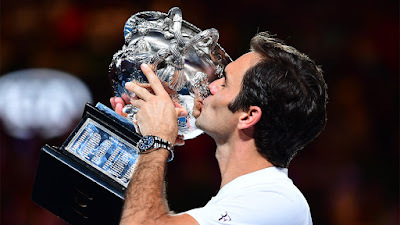 Roger Federer added another chapter to his phenomenal career on Sunday when the Swiss superstar captured his 20th Grand Slam championship crown to retain his Australian Open title with a thrilling 6-2, 6-7 (5), 6-3, 3-6, 6-1 victory over Marin Cilic in the final. Twelve months on from beating Rafael Nadal in a pulsating five-set final, the 36-year-old once again drew upon his great skill and ingenuity to build upon his legacy as the greatest player in tennis history by winning a record-equalling sixth Australian Open crown (with Roy Emerson and Novak Djokovic), coming through a draw that respected observers thought would be problematic. Federer has now won three of the past five major championships and the victory, secured over three hours and four minutes, in his 30th major championship final, ensures that Federer is now just 155 points behind World No. 1 Nadal in the ATP Rankings. He was last No. 1 on 4 November 2012. Federer has now won 96 tour-level career crowns, with only American Jimmy Connors (109) ahead. His 20 major crowns moves him four ahead of second-placed Nadal (16) in the all-time Grand Slam singles title list. 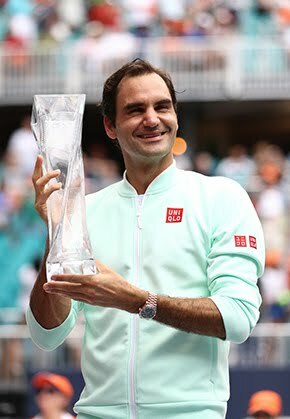 At 36 years, 173 days, Federer has become the third man in the Open Era (since April 1968) to win four or more Grand Slam championship trophies after turning 30, following in the footsteps of all-time great Australians Rod Laver (1969 Australian Open, Roland Garros, Wimbledon and US Open) and Ken Rosewall (1968 Roland Garros, 1970 US Open, 1971-72 Australian Opens). Federer improved to 9-1 against Cilic in their ATP Head to Head series, having also won their 2017 Wimbledon final clash. The Swiss hit 41 winners to Cilic’s 45, but it was his stronger service consistency - 67 of 84 first-service points won and 32 of 55 second-service points won - that ensured he was able to remain in contention, despite surges in match-momentum for Cilic. Federer also hit 24 aces to Cilic’s 16, converting six of his 13 break point opportunities on the Croatian's serve. 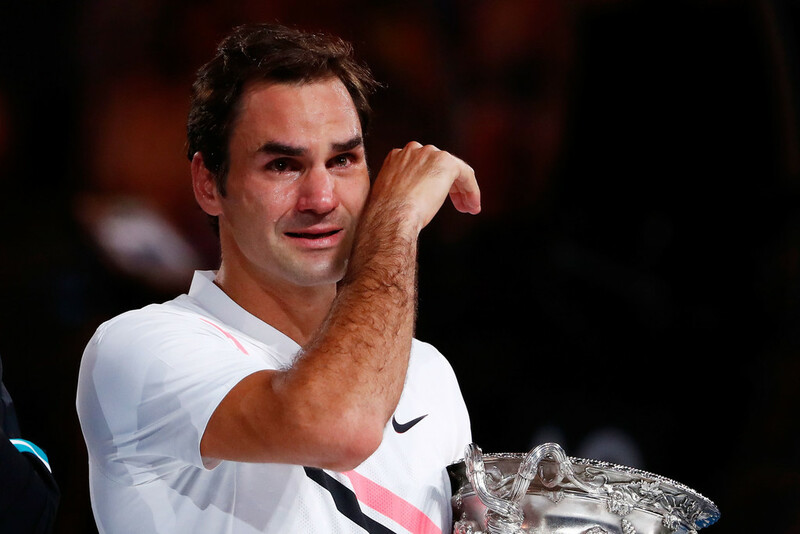 “I didn't see that through my thick tears, that Rod Laver was taking a picture of me crying,” Federer said. “I don't know what to tell you. I think what happened is I got to the finals very quickly. The semis was cut short. I had a lot of emotions left in me because I didn't have to go to extreme like last year against Kei Nishikori, Stan Wawrinka, so forth. “When I start thinking about what I was going to say, every subject I touch actually is very meaningful and very emotional. Thanking your team, congratulating Marin, thanking the people, thanking the tournament. At the end it's like one big party. The emotions show that Federer - however hard it is to believe sometimes given his accomplishments - is human. He even admitted battling nerves ahead of his record 30th Grand Slam championship final. Federer got off to a flying start under the roof on Rod Laver Arena, racing out to a 4-0 lead against Cilic, in what is a repeat of last year's final from The Championships at Wimbledon. Cilic netted a smash in the opening game to hand Federer the initiative and was broken again in the third game of the match after firing a backhand into the tramline. Cilic only managed to win four points in the first four games, and until winning the fifth game of the match was totally outrallied and outplayed by Federer. Sublime serving from Federer saw the 19-time Grand Slam champion lose just two points on serve all set as he cruised to a one-set advantage, sealed by another backhand error from his opponent. Looking to respond quickly to the disappointment of losing the first set, Cilic held serve in the opening game and manufactured two break points on Federer’s serve. At 15/40, Federer fired down an ace out wide to save the first before unleashing on a run-around forehand down the line to level at deuce before holding for 1-1. Time and time again throughout the set, Cilic served his way out of tricky situations. The 6’6” Croat staved off single break points at 1-1, 2-2 and 4-4 to maintain his lead with two aces and an unreturned serve to keep Federer at bay. After comfortable holds through most of the set, Federer double faulted at 4-5 30/30 to hand Cilic set point, but the soon-to-be World No. 3 could not capitalise as he dumped a cross-court backhand into the net. After Federer escaped for 5-5, two service holds would force the set to a crucial second-set tie-break. Federer made the first move with a rifled backhand, opening up the court for an easy winner to go ahead 3/2. But was immediately pegged back by Cilic, who hammered a forehand return for a winner to reach the change of ends back on serve. The decisive move came at 4/5 with Cilic hitting a backhand return at Federer’s laces, before hammering a looped ball into the corner off the forehand to set up two set points. On the second, the 2014 US Open champion banished the memory of his error in the opening game of the match to smash his way to a second-set success. Set three was decided by one game. The sixth game was to be the only game of the set featuring break points, and it was Federer who grasped control of the final here. Cilic netted two groundstrokes and failed to control a Federer passing shot on the volley, to hand his opponent three break opportunities and Federer happily obliged at the second time of asking. The five-time champion stepped in on his backhand return, taking time away from his opponent to force another error and move ahead 4-2. Three games later, Federer closed out the set to love, with his 19th ace, to move to within a set of an incredible milestone victory. After leading 30-0 in the first game, Cilic hit three errors to hand Federer an opportunity to seize immediate control. Federer sliced a short return to Cilic’s backhand wing and forced his opponent into a fourth consecutive error to inch even closer to his 20th Grand Slam title. Federer had a chance for a double break in the third game, but could do nothing to stop Cilic’s aggressive play on the forehand wing. The sixth seed pummelled a forehand winner down the line to stay in contact. Cilic threw caution to the wind in the sixth game, stepping up with more aggressive play to force Federer into errors, which led to getting back on serve. Two games later, Cilic threatened Federer’s serve again and crucially found another breakthrough. The 29-year-old attacked the Federer forehand and stepped into the court to dispatch a short reply for a winner, before serving out the set to love for his fifth consecutive game, sending the year’s first major to a final set. Cilic’s big chance came in the first game with two break points on Federer’s serve, but the Croat failed to get either of his returns into play after strong Federer serving. After the relief of surviving his opening service game, Federer went on the offensive to break Cilic for a 2-0 lead with a deep cross court backhand return which Cilic ran around, but could only push into the net. From there, Federer surged to victory. A single love hold for Cilic in the fourth game was the only interlude to the charge of Federer. who won 12 of the last 13 points and sealed the title, for the second successive year on a Hawk-Eye challenge, with an unreturned serve out wide. He may be 36, he may have won everything there is to win - and won it many times - but he still wants more. 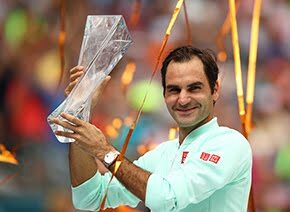 Another fantastic two weeks in Melbourne has not satisfied him, it has merely whetted his appetite for the rest of the season and beyond. “I've won three slams now in 12 months,” he said, looking impressed with himself. “I can't believe it myself. I just got to keep a good schedule, stay hungry, then maybe good things can happen. Then I don't think age is an issue, per se. It's just a number. “But I need to be very careful in my planning, really decide beforehand what are my goals, what are my priorities. I think that's what's going to dictate how successful I will be.